Our passion is incredibly intense. The connection between us borders on the possessive. Our feelings are absolutely forbidden. 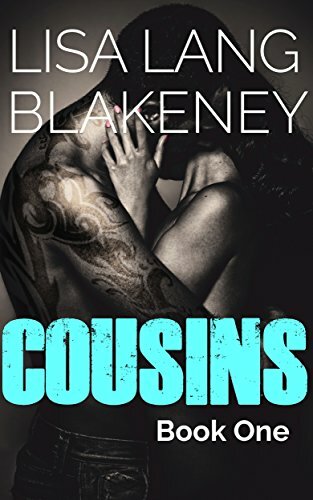 We’re cousins…The question now is…what the f*ck are we going to do about it? Wealthy Roman Masterson makes his fortune by fixing celebrity problems for big money and by any means necessary. He is a foul-mouthed, bad-tempered, manwhore who doesn’t have the time or inclination to babysit a gullible little brat from the suburbs…until he unknowingly spots her in the middle of a crowded dance floor and decides right then and there to claim every one of her orgasms from that moment on. Little does he know that the woman he’s laid claim to is his…cousin. Authors Note: Contains adult themes, explicit love scenes, and harsh language. It is only appropriate for adult readers age 18+. All characters in the book are 18+ years of age, non-blood related, and all sexual acts are consensual. * This steamy alpha bad boy romance is perfect for fans of Joanna Blake, Sabrina Paige, Winter Renshaw, Sophie Frost, Vanessa Waltz and Claire Adams.